The One Percent, Updated -- Greg Mankiw on Piketty and Saez inequality measures, and clueless as always. He thinks nobody noticed that inequality increased starting in the 1980s. Seriously?! It's all over the place in, for example, Jamie Galbraith's Created Unequal in the late 1990s. Did Argentina Default? -- T. Sabri Öncü and Jorge Vilches say no. Via Yves Smith. Q. and A. With Charles Plosser of the Fed -- Charles Plosser, Real Business Cycle and inflation hawk president of the Philadelphia Fed, fears that the Fed is retreating too slowly from its stimulus campaign. Oh well. 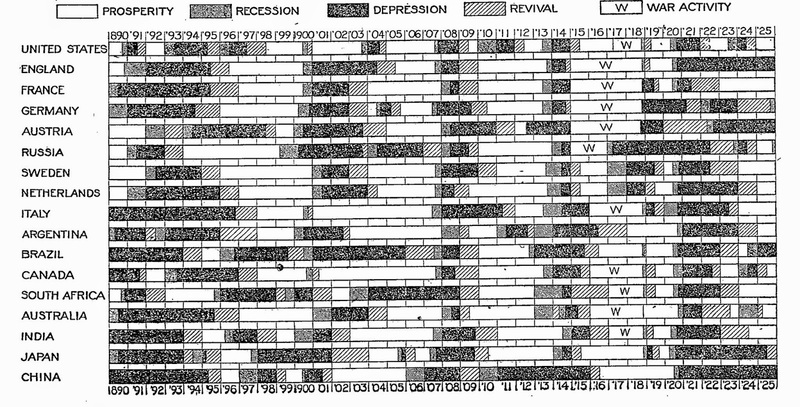 Graph/Table of the Week: Bernanke’s Fed and Yellen’s choices -- My URPE blog post. I fear the opposite, that the Fed will retreat to fast. Don't go over too much, but the point is WE ARE NOT AT FULL EMPLOYMENT; the natural rate (which doesn't exist, even if there is a capacity limit) is not 5.5%. 4th Quarter GDP: Happy Days Are Here Again (not) -- Dean Baker on why the annual 2.5% growth is not that great (and one could add, why 5.6% unemployment rate is not that low either). "Fifty-four years ago, in his inaugural address, President John F. Kennedy declared, “Let us never negotiate out of fear. But let us never fear to negotiate.” They were not the most soaring sentences in that short speech, but they were among the most important. For they signaled, deliberately and unmistakably to the Soviet Union, that the Cold War might be ended without turning hot, and that the world need not live forever under bluster, threat, and the shadow of nuclear war. Today, Europe faces a negotiation over debt and depression. 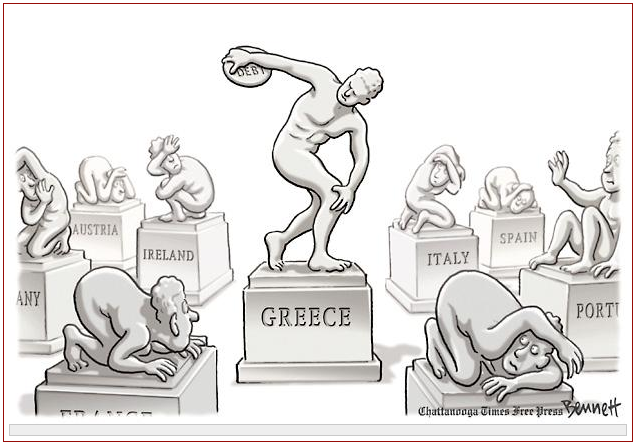 On one side there will be the young government of Greece. On the other, the financial powers of Europe and the world. Now as then, the question of fear cannot be escaped." In these same columns on 4 July 2012, several major figures in the social sciences asked the French government to guarantee pluralism in all institutions engaged in research and teaching in economics. Without this pluralism, our country cannot possibly engage in informed and rigorous democratic debate. The objective at that time was to draw lessons from the 2008 financial crisis, which had demonstrated how counterproductive economic thinking characterized by excessive uniformity and an overweening self-confidence could be. Today, however, we have to acknowledge that these lessons have not been heeded: nothing has changed, either in research programs or in teaching. This is due to the monopoly position that so-called ‘mainstream’ approaches occupy today. Let us be clear: we do not in any way deny the value of these approaches, nor their influence and nor are we demanding that they be in any way constrained. However, we would argue that, both in France and abroad, there are other intellectual traditions which, although very appealing to academics and students, are fettered by a short-sighted adherence to majority rule, which enables the dominant approaches to enjoy exclusive control of economic thinking. Awareness of this situation subsequently increased, the most visible sign of it being the founding of the AFEP (Association Française d’Economie Politique), whose membership now includes more than 600 PhDs in economics and the social sciences. This association proposed that, by way of experiment, a new research and teaching space should be opened up for four years in order to enable this alternative approach to economics, ‘rooted in the social sciences’, to stay afloat. At the end of these four years, it would be decided either to continue the experiment or to put an end to it, depending on the results. This balanced proposal which, let us reiterate most strongly, takes nothing away from the activities of mainstream economists or the resources devoted to them, attracted considerable support from academic economists – even before its existence, 300 of them (out of a total of 1800) signed a solemn declaration in which they expressed their wish to contribute to such a space as soon as it was established. The urgency of the problem, the simplicity of the proposed solution and the strong support it received in the academic community convinced the ministry, which at the beginning of December 2014 announced the launch of a new field of teaching and research on ‘economics and society’, which would join the 80 or so sections already in existence. The reaction to the announcement of this agreement was both rapid and violent. The chair of the current ‘Economics’ section threatened to resign if the ministerial decree was not abrogated! A number of deans of economics faculties and he himself declared in the Figaro of 4 January 2015 that the new section would serve only ‘as a home for the failures and frustrated elements’ of the university system, ‘those who do not succeed in getting their work published in reputable journal’. They added, for good measure, that ‘the minister has been taken in by the leftists’. We thought that such an argument, advanced not by self-radicalized net surfers but by the most senior figures in the world of academic economics, would enable ministers to gauge precisely the state of pluralism and dialogue in our universities. It clearly demonstrates the reality of what we have repeatedly declared when we explain that, in the current situation, divorce is the best solution, one that will enable us to start talking to each other again. The Ministry could also have questioned the logic of an argument that declares 300 academics to be ‘failures’ or ‘frustrated’ while at the same opposing their departure with the utmost vehemence. Economics is most assuredly a complex and, at times, confusing discipline. The belief that one is absolutely right and all the others have absolutely nothing to contribute is suicidal. Have we forgotten the terrible failure of economists to warn the world of the 2008 crisis? Should we not react? Let it not be forgotten that for twenty years financial efficiency was proclaimed from the rooftops as the ‘economic proposition with the most solid empirical foundations’! To be innovative in a changing world is not necessarily to go where the majority are already located. Now in France we have in our possession a treasure house, namely the way of doing economics that goes back to the Annales School and to Braudel and includes authors as diverse as Commons, Marx and Keynes. It has a long history and many supporters. It cannot be easily summarized in a few words since it likes to think of itself as fiercely pluralist. It takes the view that progress results from an amalgamation of economics and the other social sciences. Many researchers and students identify with this approach. Good for them! Allowing them to follow their intuitions takes absolutely nothing away from those who wish to do things differently. This new section must be seen as an asset for everyone, for those who are keen to prove that their theory works as well as for the mainstream, which certainly needs the spur of competition if it wishes to advance and continue to be innovative. Is this not a proposal that all economists should be able to understand? Minister, at a time when pluralism is so widely proclaimed, we urge you to see your project through to completion. Give the freedom to express heterodox ideas in economics a chance and establish the new ‘Economics and Society’ section! * Originally published in Le Monde in French here. Many economists co-signed, including yours truly. From the Association Française D'Économie Politique (AFEP). "In what direction is our economic system heading ? Where are our societies that suffered violently with the turmoil going? How did we get here? How to react? The current situation not only reveals an economic crisis, but also a profound intellectual crisis, that of economic thinking. The causes of this crisis are many, the solutions among others must rely in theoretical, practical and policy innovation. Yet there is an institutional issue which blocks the creativity with which a fast and simple political response could take place. A solution that would immediately restore vitality in the reflection on the economic and social affairs of our time: the creation of a new section of the National Council of Universities (CNU) to develop a different way of thinking about the economy." To sign the petition and read more go here. "In the medium term, Greece could create some form of parallel currency set at par with the euro, like Argentina did in the early 2000s. The government in Argentina used 'patacones' to buy things and pay employees and they became quite acceptable because ultimately regular people could pay taxes with this currency. The Greeks could have a parallel national currency without altogether abandoning the euro. Not sure if Mario is against Greexit, meaning exit from the euro, but the suggestions is that even with default there is no need for exit. I am not against his perspective, and that was the view that Wynne Godley had about Europe and the euro, for the former, but against the way the latter was implemented without fiscal federalism, and significant transfers. I also noted before that devaluation or exit does not solve all the problems. I have posted on this topic here. For the problems of the conventional (mainstream) trade theory go here or the Ricardian here. For a discussion of alternative trade theories go here (and here). "21st century businesses, including small businesses, need to sell more American products overseas. Today, our businesses export more than ever, and exporters tend to pay their workers higher wages. But as we speak, China wants to write the rules for the world's fastest-growing region. That would put our workers and businesses at a disadvantage. Why would we let that happen? We should write those rules. We should level the playing field. That's why I'm asking both parties to give me trade promotion authority to protect American workers, with strong new trade deals from Asia to Europe that aren't just free, but fair. Look, I'm the first one to admit that past trade deals haven't always lived up to the hype, and that's why we've gone after countries that break the rules at our expense. But ninety-five percent of the world's customers live outside our borders, and we can't close ourselves off from those opportunities. More than half of manufacturing executives have said they're actively looking at bringing jobs back from China. Let's give them one more reason to get it done." The push for trade promotion authority is essential if the Trans Pacific Partnership (TPP) is to be approved. I have written on the issue before, specifically on the TPP and how it has made strange bedfellows (see here). This is one of the issues in which he may actually find common ground with the new Republican Senate. 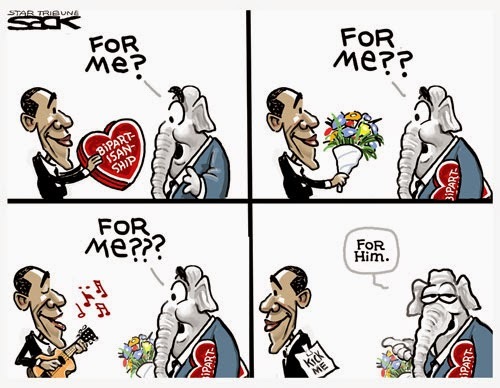 And it's a cautionary tale for those that think that bipartisanship is always good. More on the "Consumer Revolution"
I have noted before (and here and here) the neglect of the role of demand in more recent historical accounts of the Industrial Revolution. The typical view used to emphasize demand, like in Landes' Unbound Prometheus, but more recent accounts like Allen or Mokyr emphasize technological change and supply side forces. "What gave the American Revolution distinctive shape was an earlier transformation of the Anglo-American consumer marketplace. This event, which some historians have called a 'consumer revolution,' commenced sometime during the middle of the eighteenth century, and as modestly wealthy families acquired ever larger quantities of British manufactures— for the most part everyday goods that made life warmer, more comfortable, more sanitary, or perhaps simply more enjoyable—the face of material culture changed dramatically. Suddenly, buyers voiced concerns about color and texture, about fashion and etiquette, and about making the right choices from among an expanding number of possibilities." In this view, the demand for new goods (and not so new too), tea, coffee, tobacco, chocolate, china, calicos, silks, etc. was central for the technological revolution of the 18th century. 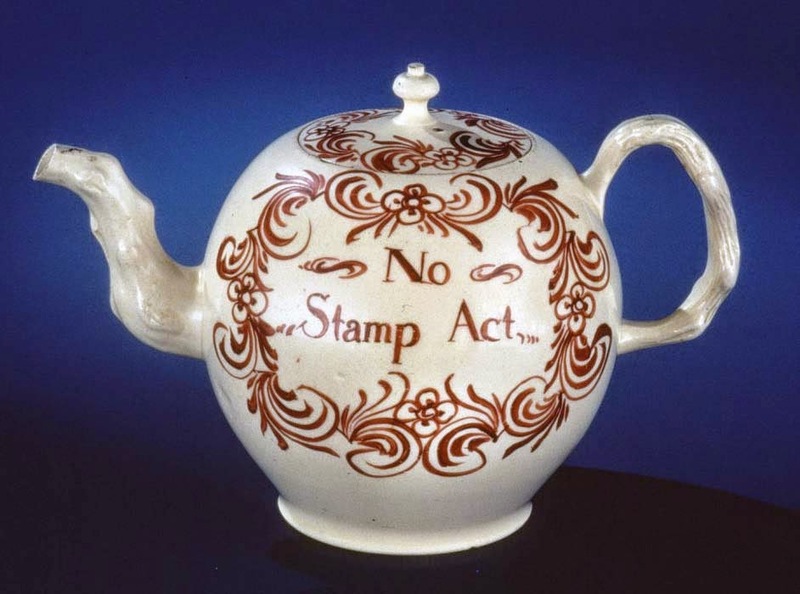 What Breen seems to suggest is that the same Consumer Revolution that was taking place in England was taking place in America, and that the subordinated role in the colonial pact, and the trade restrictions imposed by the many Parliamentary Acts, are at the heart of the movement for independence. In other words, not only demand might be relevant to explain economic growth, but economic growth might be central for political developments. That's the question everybody is asking. And no, I don't have the answer. But we do know that Tsipras promised to renegotiate the debt, and that Yanis Varoufakis, who has been suggested as the probable finance minister has said that the current policies are a: "kind of fiscal waterboarding policies that have turned Greece into a debt colony." You may want to read Yanis Modest Proposal, co-authored by Jamie Galbraith and Stuart Holland and linked here too. Also, this paper by Dimitri Papadimitriou, Michalis Nikiforos and Gennaro Zezza might be of interest to understand the possibilities and constraints Greece is currently facing. Government spending multipliers in good times and in bad: Evidence from U.S. historical data -- Valerie Ramey and Sarah Zubairy suggest that fiscal multipliers are as large in booms as they are in recessions, with a zero bound interest rate. Their estimates imply that government spending during WWII lifted the economy out of the Great Depression, not because multipliers were large, but because government spending was great. Same thing we suggest here with Nate. Alexander Hamilton's Comeback -- Justin Fox on Michael Lind's book on US economic history. I tend to agree on the advantages of Hamilton over Jefferson, in this respect. The Federal Reserve and Shared Prosperity: A Guide to the Policy Issues and Institutional Challenges -- Tom Palley on bringing back the full employment goal, raising the inflation target and not hiking the rate of interest too soon. Private Employment under Obama and Bush -- simple, but revealing graphs by Menzie Chinn. Graph/Table of the Week: Tax in Scandinavian countries -- I posted my weekly graph/table on URPE's blog, showing how high the levels of taxation are in Scandinavian countries. And yes, no problem, quite the opposite. It often comes as a surprise to most Americans that Latin Americans generally resent that in the United States people think of themselves as uniquely American—as if the rest of the continent somehow has another name. Latin America is, in fact, a name created by the French, supported by local elites, that invaded Mexico to collect foreign debt and to try to re-establish European colonialism. The Latin heritage, being a common one between Maximilian’s new court and the Mexican people, gave the region its appellative, but a tarnished one. That is why José Martí, the hero of Cuban independence, referred to “Our America,” to contrast it with the other, the one Americans fancy as the only one. For the whole documentary go here. For the part specifically about their role in universities forward to minute 17:30 or so. I noted before the news about hiring practices at Florida State being influenced by the Koch's brothers ideological agenda. 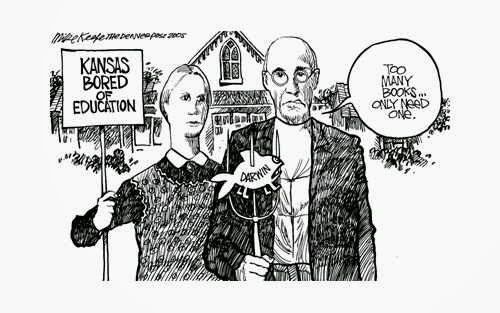 Now the news suggest that the Koch have been funding an ideologically biased center at the University of Kansas (KU). Art Hall, who worked for the the Koch's, and now runs KU's Center for Applied Economics, has been at the center of the controversy. There is a new and troubling development in the story. Professor Hall has filed to block a group of students that wanted more information about the relation between him and the Koch brothers. Schuyler Kraus the president of Students for a Sustainable Future, the group behind the information request, suggested that: “It just seems more obvious that there’s something going on that they want to hide.” Indeed. The connections of wealthy individuals, with strong views on the economy, funding research on economics is always problematic. Not surprisingly, this is happening at a Business School, which are often heavily dependent on corporate donors, who might have a political agenda that conflicts with the research values that most universities profess to follow. PS: You may want to check the UnKoch My Campus website here. This quote from Charles Koch in their site is telling: "We should cease financing our own destruction and…[support] only those programs, departments or schools that 'contribute in some way to our individual companies or to the general welfare of our free enterprise system.'" This article analyses different approaches to ‘developmentalism,’ emphasizing their theoretical origins and identifying their different economic policy implications. 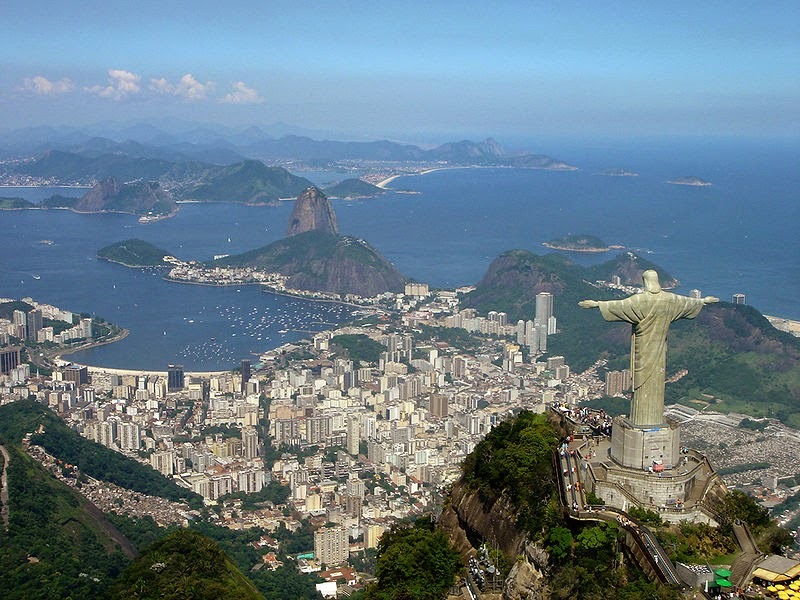 Based on the theoretical and empirical characteristics of different growth regimes in Brazil (that is, export-led, demand-led, debt-led, profit-led, and wage-led), the paper recommends that Brazil adopt a ‘social developmentalist’ growth strategy. Read rest here (free download). This is from Watson's AER paper from last year (another version here). Same methodology he has used before, with Staiger and Stock, as far as I can tell, to measure the non-accelerating inflation rate of unemployment (NAIRU) or natural rate. The estimation is based on the Phillips curve (PC), in which inflation is the result of deviations of unemployment from its natural level, that is, essentially demand. He estimates that it is at 6.3%, but will soon return to its pre-2007 crisis level of 5.5%, basically were we are now. Couple of things. In the estimation of the PC he does, as normally is done, include supply shock elements. My guess (results are not clearly shown in the tables) is that a good chunk of inflation is actually explained by this rather than the unemployment gap. In other words, cost matters for inflation, and whether unemployment was above 10%, as right after the crisis, or 5.6% like now, has little impact. 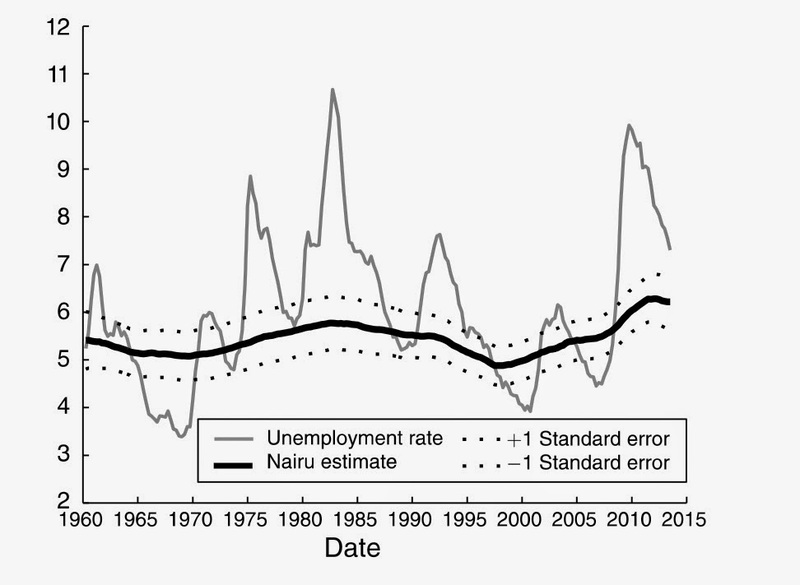 Also, that means that the unemployment gap is basically orthogonal to inflation, and that the measure of the NAIRU or natural rate could be obtained as an average of the actual unemployment. In one of the methods of obtaining it that is exactly what is done (not in this paper). In other words, the black line in the middle is NOT an attractor around which the actual unemployment level fluctuates. It is an average of the actual rate, which is essentially another way of writing the same data. It is the actual unemployment rate that determines the natural one, and if unemployment rates were reduced sufficiently with expansionary policies, the natural (being an average) would also come down. Economics is NOT a serious science. Yes, still teaching that. So end up thinking and reading about the stuff. 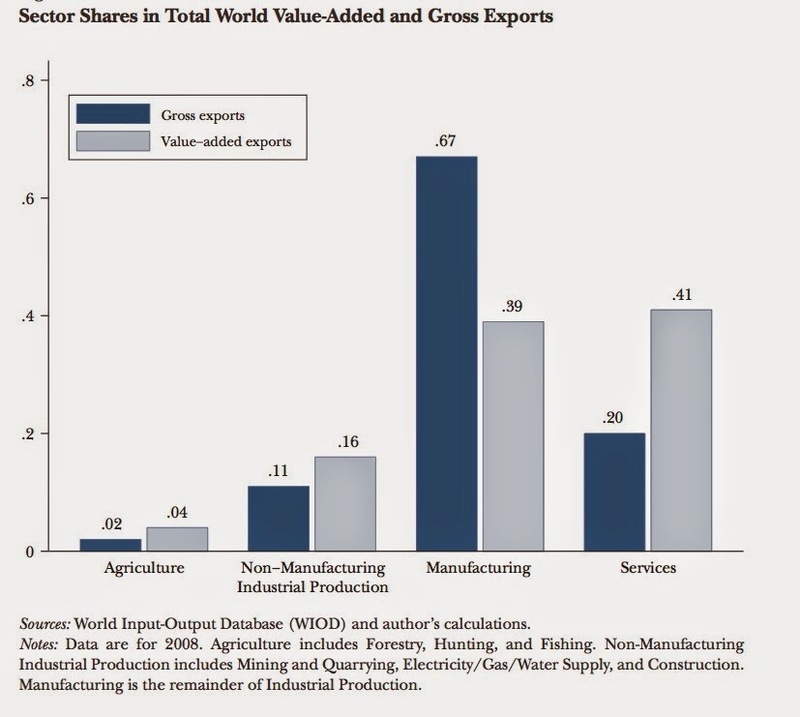 At any rate, an interesting paper by Robert Johnson (here; subscription required), suggests that with the rise of global supply chains gross exports overstate the amount of domestic value-added in exports. 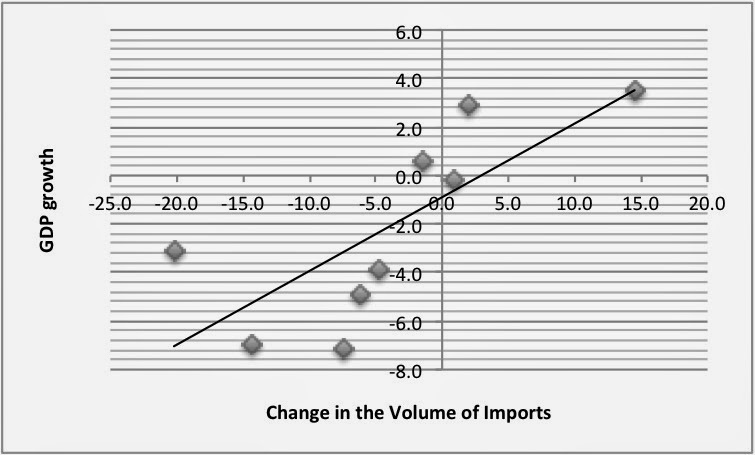 Note that now exports have a greater content of imports, so gross trade is not a good measure of value added. Johnson says that: "estimates suggest that value-added exports are equal to 70–75 percent of the value of gross exports." 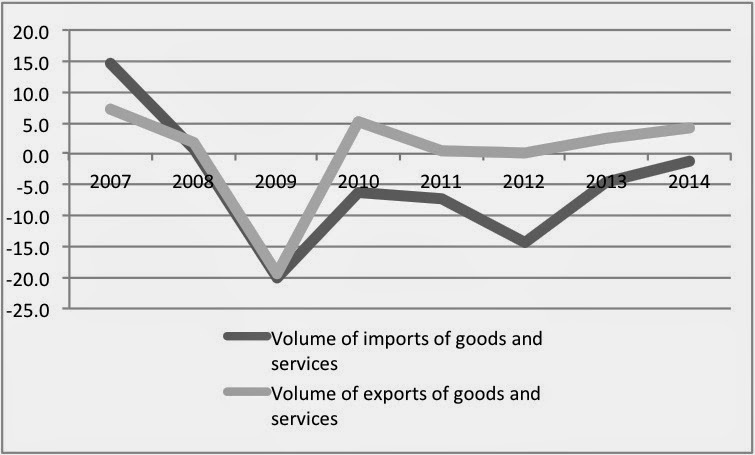 Interestingly there is more value added in services than the data on gross exports indicates, as can be seen above. In other words, manufacturers exporters tend to buy a lot of local services, and that ends up being part of gross manufacturing export numbers, undervaluing the role of valued added service exports. The lowest value added to gross exports ratios are in East Asian countries, in the data presented South Korea and Taiwan, which is not surprising. China and Mexico are higher than both South Korea and Taiwan, and I was surprised by that. An interesting result of his analysis is that: "the ratio of exports to GDP will overstate how much GDP falls when exports decline." Of course, for the external constraint, it might still be the case that gross exports are the relevant ones, since they provide access to hard currency for developing countries. Got to see the one on Marx, which is below. Come to think about it, not only Hayek is an odd choice for a conventional view of capitalism (even Friedman, I suggested Schumpeter in the previous post, would be a better one), but also the title is a weird one. Not sure Marx was a master of money, whatever that means. The whole thing is a bit shallow. The equalization of Stalinism and the limits of the Soviet system with Marx's theories, and even the complete lack of discussion of Marx's ideas (on that read this). Seriously, Rajan and Roubini never read Marx. No serious economics scholar of Marx was interviewed. Yes Harvey and Ali, or Zizek for that matter, are not economists, even if they have read Marx. And Marx was, above all, an economist, even if that's the field in which he is not studied anymore. Also, the notion that capitalism is just profit seeking behavior is preposterous (for more on that). On the positive side, from my perspective, the type of crisis discussed is a realization crisis. Footnote on the notion that Marx's propositions still are very radical, as said in the intro to the BBC episode: it should be taken with a grain of salt. Yes he thought that communism would abolish private property, but was also for "a heavy progressive or graduated income tax... free education for all children in public schools... [and the] abolition of children’s factory labour in its present form." So some of these ideas are now common sense. Radical stuff indeed. Their advice, if you want to understand it better you should read it. Yes, given the stuff they did, you probably should. 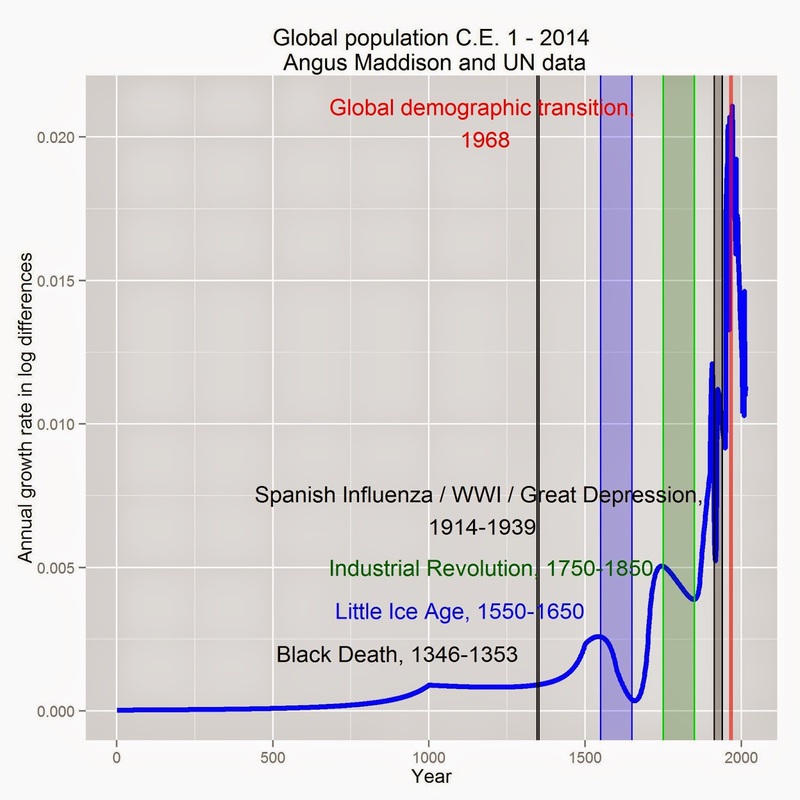 Post-neo-Malthusianism -- a global demographic transition? 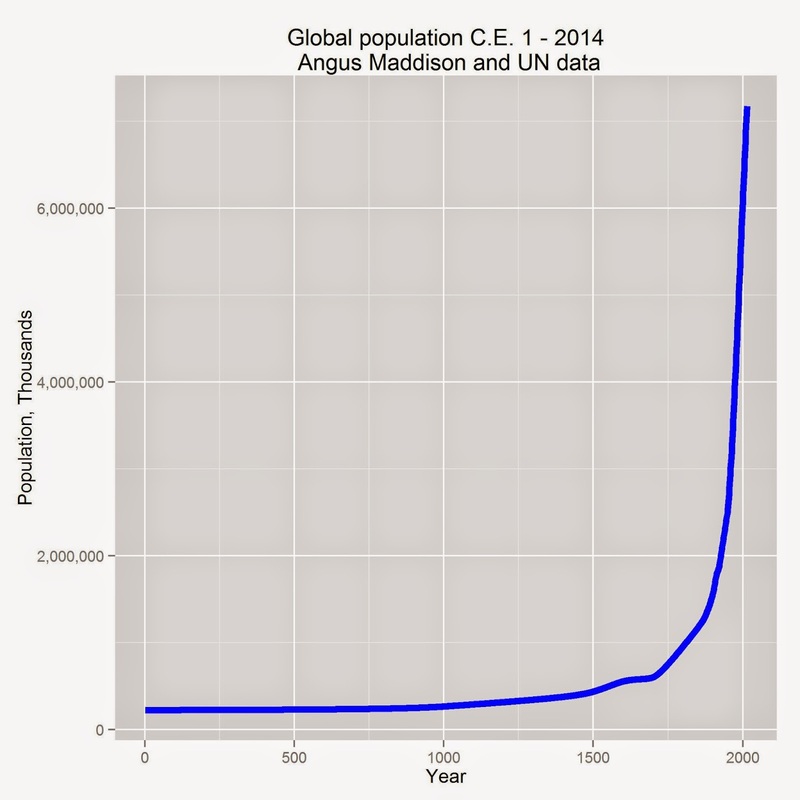 First, let's look at global population levels since C.E. 0. The data are mostly, of course, from Angus Maddison (R.I.P. ), with UN data spliced after 2008. You can see a liftoff in the late middle ages, some acceleration in the early modern era, and an exponential explosion starting about the industrial revolution era and continuing until now. As I recently argue, this level growth is sufficient to claim that the correlated growth in aggregate demand is sufficient to explain many things, in particular the great growth in (and supply to) demand for capital to meet the aggregate consumer demand, all correlated with the English and later industrial revolutions. Good. Now, lets look at the really interesting, at least to me, information somewhat buried in this first graph. The next graph is in log differences of the population levels, so showing the change in population growth rates. Here we see, with some interesting variations that I will not comment on here, that the second derivative of population levels was mostly positive up until about 1960 (I have windowed graphs that allow this granularity). So growth rates were ever-increasing to rates significantly above two percent annually. 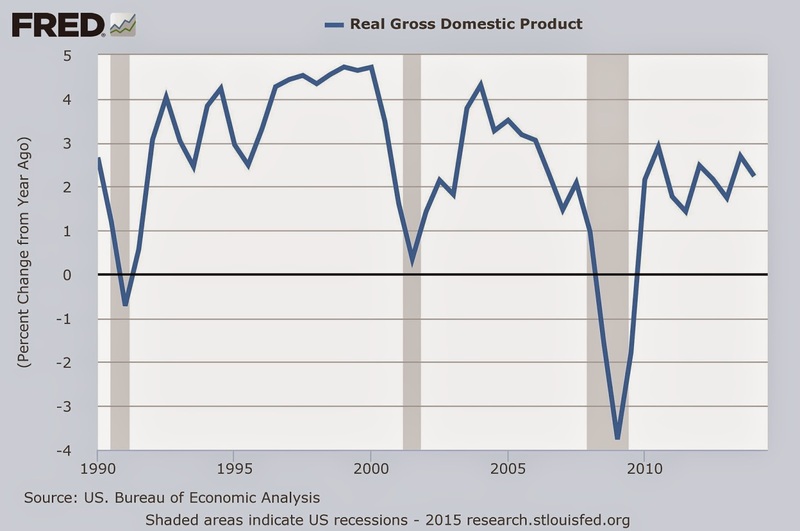 Since then, we see a (strong) reversal in growth rates, back to about one percent annually. This has large implications for important things economic going forward. First, should this continue, the first derivative will go negative (population will peak then decrease - in other work, I show this could happen around 2085 2045). Second, under my nascent and evolving theory of Industrial Capitalism, the correlated fall in aggregate demand will diminish the demand for and supply of global productive capital. This implies a drop in accumulated capital, eventually including financial capital if asset values fall. There are other important implications, but these are biggies. Should you be one among us desiring yet another crisis of capitalism, this one is a doozy since we will be pushing the demise-of-capitalism water downhill, instead of uphill as has been the case since Marx. This is probably enough for now. p.s. I am seriously thinking of legally changing my name to the above. 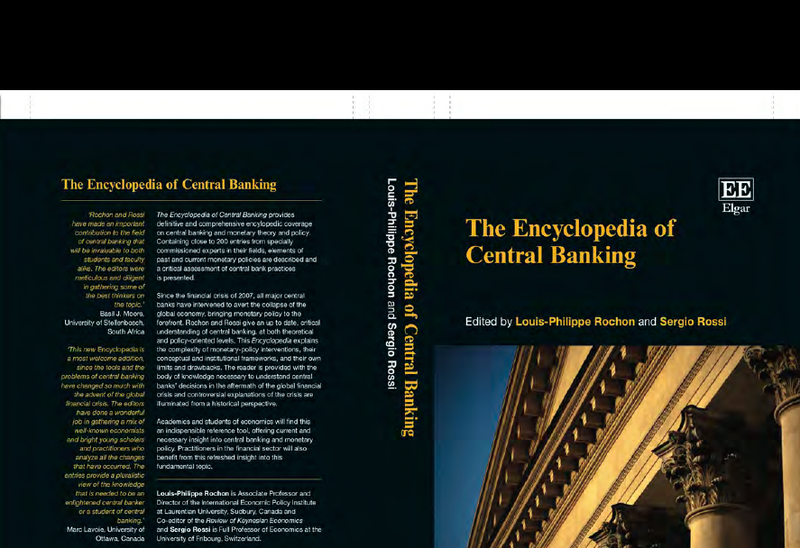 So LP Rochon has edited this Encyclopedia, with Sergio Rossi. LP sent me the entry on Bretton Woods Regime, by Omar Hamouda, as a teaser. "Bretton Woods is a location, period of history, beginning of an era in the twentieth century, birth of an international organization, but, most of all, an international monetary system to regulate trade, peg currencies to one standard, and maintain a regime of fixed exchange- rate parity. 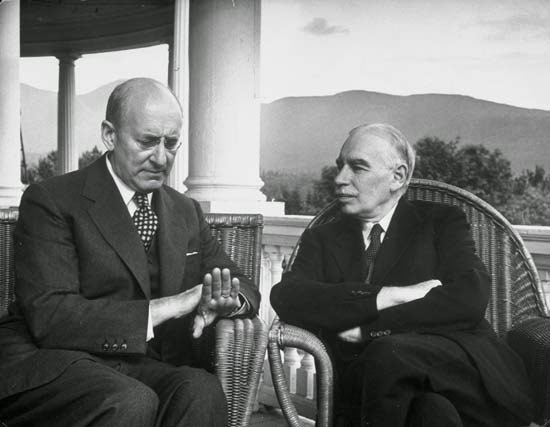 In July 1944 at Bretton Woods, New Hampshire, 44 nations under official British and American leadership set up economic measures for post- war reconstruction. The US dollar – pegged to gold – was approved as the new monetary standard. Two new insti tutions were also established with specific tasks: the Stabilization Fund (International Monetary Fund, IMF), a “special organization” (Horsefield, 1969, p. 39), to be a watchdog facilitating and promoting trade through monetary stabilization, and the International Bank for Reconstruction and Development (World Bank), with the role of providing member nations with “necessary capital not otherwise available except possibly on too costly terms” (ibid.)." The one on Keynes below. I already noticed before that Hayek is not really an intellectual of the same stature of Keynes, or Marx one might add. In terms of Austrians, in fact, Schumpeter might be the only one that is on the same league (even if I disagree with almost everything he wrote, the exception being his discussion of the Tax State). A few interesting people are interviewed. Peter Clarke and Will Hutton, for example, the former author of a really good book on the political struggle to develop Keynesian policies. They also have some less interesting ones, like Mervin King, the ex-governor of the Bank of England, and Ken Rogoff, of Rogaine and Braveheart fame, complaining of very high debt levels now which preclude the space for fiscal expansion ("there is no magic bullet," he says). The outcome is not particularly good. The discussion of Treaty of Versailles and German hyperinflation is completely biased presenting a Monetarist interpretation that is not dominant among historians. It also spreads the myth that the fact that the New Deal helped end the Great Depression is a myth. Worse, the interpretation of Keynes is based on chapter 12 of the GT. It's also about confidence, animal spirits and uncertainty. There is also a discussion of Bretton Woods, and although they do suggest that deficit countries could not do the whole adjustment, there is no discussion of the role of capital controls and financial regulation. Oh well. I had promised to post on this a while ago. 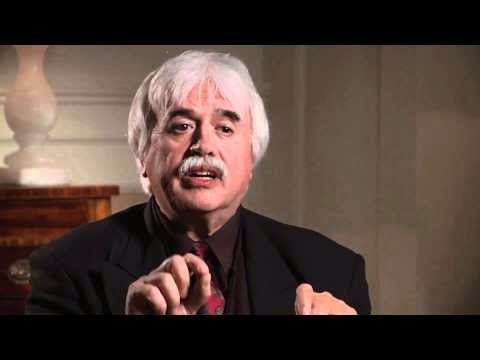 According to Triffin Dilemma view the US economy could not guarantee the convertibility of dollars into gold at the fixed parity, since the supply of gold did not keep pace with the increase in the level of income in the world economy. The U.S., on the other hand, provided liquidity to the world economy, increasing the supply of dollars, to avoid creating a liquidity problem. So the ratio of dollars to gold was not fixed, and the parity was unsustainable. The excess supply of dollars caused, in this view, a confidence crisis. The Bretton Woods system failed because the fixed parity commitment was not credible, in the context of an expanding economy. For heterodox Keynesians (I prefer the term classical-Keynesian), the abandonment of the fixed parities is not connected to the loss of credibility in the face of an expanding economy. This view emphasizes the role of financial liberalization in the collapse of the Bretton Woods regime. The use of capital controls during Bretton Woods implied that the rate of interest was in general low, to promote high employment, and the cost of reducing the remuneration of financial capital. The abandonment of the fixed parity system and the increasing mobility of capital allowed for interest rates to be kept at higher levels favoring financial interests. In that sense, the end of Bretton Woods was, to some extent, a policy decision. Contrary to the collapse of the Gold Standard and the pound, the role of the dollar as the key currency (reserve and vehicle currency) did not end with end with the collapse of Bretton Woods. In other words, if lack of confidence in the dollar would have been the cause one would expect a run on the dollar and a new hegemonic currency to replace it. My Bretton Woods entry for the Elgar Companion to Post Keynesian Economics can be read here, and downloaded here. There is a slightly modified entry for the 2nd edition, but I don't have a link to that one yet. Funny thing, the rise of vulgar economics, which I discussed before (here, here, and here; see also this and this papers for more on the topic) didn't just lead to the ostracism of heterodox approaches to economics. It also led to a significant decrease in the debate within the mainstream. Or at least is what the figure below, from the interesting blog post by Joe Francis, seems to indicate. At some point in the 1960s, more than 20% of the papers in the main journals were a reply, a comment or a rejoinder to the work of someone else. Not anymore. It is clear that the Great Depression and the Keynesian Revolution seemed to increase debate within the mainstream, and that, as Joe says, the: "decline in debate... appears to have been associated with the emergence of a ‘neoliberal’ hegemony from the 1970s onwards." That's essentially correct. And the decline in debate explains why Lucas could say in the early 1980s that: "at research seminars, people don't take Keynesian theorizing seriously anymore; the audience starts to whisper and giggle to one another." And also why if you wanted to publish you basically had to accept the crazy New Classical models. Krugman admitted to that before, as I've already noticed. He argued that: “the only way to get non-crazy macroeconomics published was to wrap sensible assumptions about output and employment in something else, something that involved rational expectations and intertemporal stuff and made the paper respectable.” You must remember, you don't publish, you don't get tenure. So crazy models became the norm. "To caricature, but only slightly: A macroeconomic article today often follows strict, haiku-like, rules: It starts from a general equilibrium structure, in which individuals maximize the expected present value of utility, firms maximize their value, and markets clear. Then, it introduces a twist, be it an imperfection or the closing of a particular set of markets, and works out the general equilibrium implications. It then performs a numerical simulation, based on calibration, showing that the model performs well. It ends with a welfare assessment." And yes that is also the basis of New Keynesian models. The haiku basically describes the crazy models in which reasonable results must be disguised if you're to be taken seriously in academia. When everybody agrees, there is little need for debate. 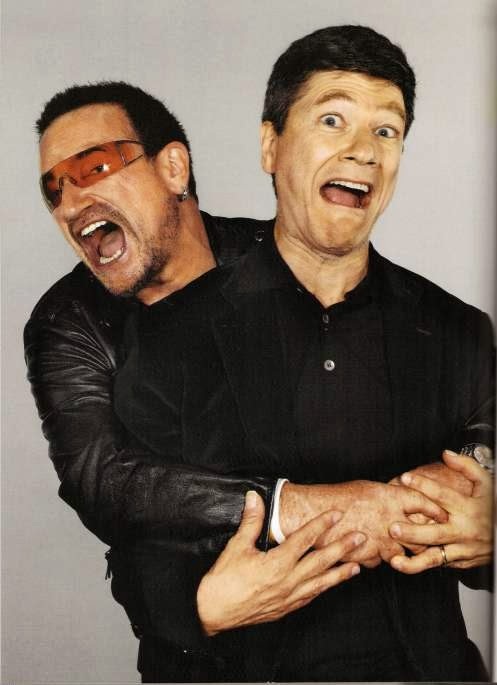 And you get stuck with crazy models. The lack of debate within the mainstream to this day is also, in part, what provides support for austerity policies around the globe, even when it is clear that they have failed. Starting my seminar on business cycles this week. Mainly theories and then a discussion of both Great Depression and Recession. In the US the original authority, and the intellectual driving force of the analysis of the cycle which started at the National Bureau of Economic Research (NBER), was undoubtedly Wesley Clair Mitchell. The figure above comes from an early analysis of global cycles published in the New York Times back in 1926 (subscription required). The Times quotes him saying that there was: "a trend in the direction of a world economy in which all nations will prosper or suffer together." In other words, a tendency to a global cycle. This is consistent with the work we published with Luca Fiorito on another institutionalist from Columbia, namely: John Maurice Clark. As we noted then, the fact that the less mechanical, and also non-neoclassical version of Keynesian ideas, basically in contrast to the so-called Neoclassical Synthesis, was relegated to secondary status in the US in part explains how Keynesianism was reduced to a simple case of rigidities and imperfections. Not surprisingly the multiplier-accelerator interaction as the basis of the cycle, even though the empirical evidence for both components is strong, is not part of the mainstream macroeconomic textbooks. * He was also one of the founders of the New School for Social Research in 1919. ** Mind you he did write with Arthur Burns, who eventually became a Monetarist associated with Milton Friedman and the chairman of the Fed, a famous NBER book on the cycle. Is Krugman open to debate? "So if you [presumably heterodox economist] go around claiming that model-oriented, quantitative economics gave rise to austerity mania, you’re getting the story all wrong. Worse, you are in effect covering up for the austerians’ intellectual sins." "Have the courage to publish my comments (which have been banned for years now). If you claim to be a serious person open to debate. Seriously, heterodoxy is NOT about model-oriented, quantitative economics giving rise to austerity. It is about a model that against logic and evidence suggests that the market returns to its natural rate unless there are imperfections. And in that sense, even New Keynesian like you that defend more fiscal stimulus miss the point." Let's see if he publishes it. * Note that my point is that there are plenty of formalizations of heterodox economics [not all the same; my preferences are well known for readers of the blog, namely: effective demand in the long run with some sort of supermultiplier]. There are some heterodox authors against formalization, but also some neoclassicals (some Austrians, in particular). But the main differences between heterodox and orthodox economists are about causality and NOT about formalization. 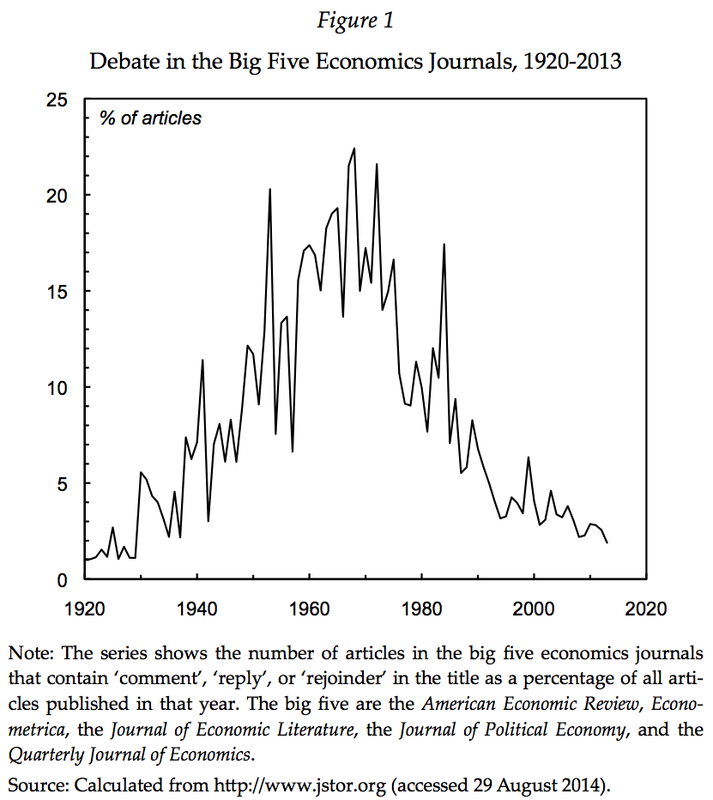 On debate and monologue in economics see this. PS: If you want a formalized growth model as an example go here. For one on inflation here. * Update: Shaming does work. It was published. 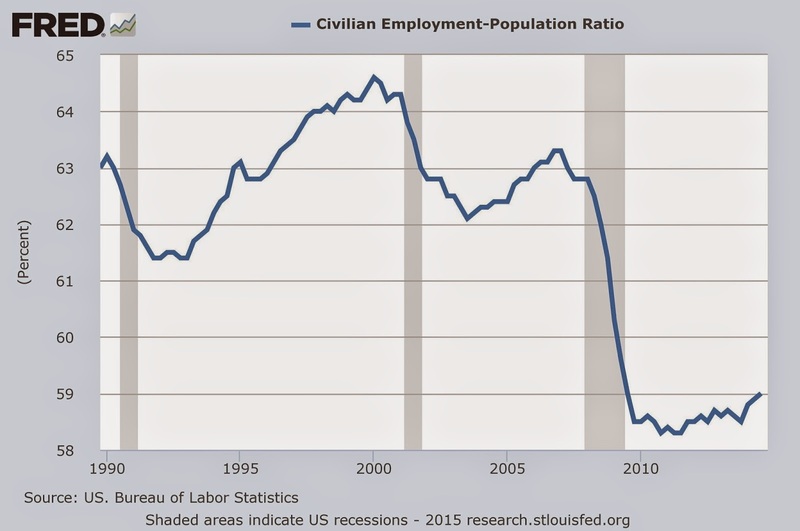 The Bureau of Labor Statistics has published the new Employment Situation Summary. The unemployment rate is down to 5.6%, and again (like in November 2014) more than 200K (252K in December, in fact) jobs were created (as I noted here a healthy recovery should create more or less double that number). 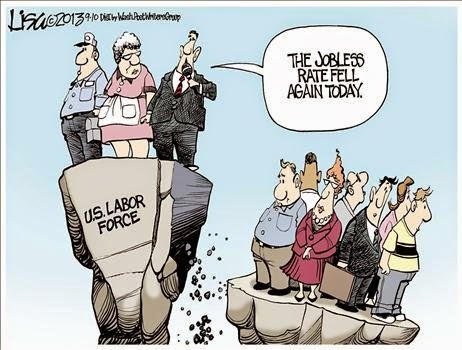 But, at the same time, labor force participation rate edged down by 0.2%, and the employment to population ratio remained constant. The number of employed workers increased by a bit more than 110K, so now the rate of unemployment is falling both because some additional workers find jobs, but also as a result of less workers in the labor force. Not terrible, not good enough. My concern is that as we edge towards what the mainstream believes is full employment (aka the natural rate), somewhere closer to 5.2% or so, the pressure for less stimulative monetary policy (fiscal is a lost case right now) will increase. PS: Note that average hourly earnings decreased a little bit. So no indication that we are close to full employment and wages are going up. For several years, and often several times a month, the Nobel laureate economist and New York Times columnist and blogger Paul Krugman has delivered one main message to his loyal readers: deficit-cutting “austerians” (as he calls advocates of fiscal austerity) are deluded. Fiscal retrenchment amid weak private demand would lead to chronically high unemployment... Yet, rather than a new recession, or an ongoing depression, the US unemployment rate has fallen from 8.6% in November 2011 to 5.8% in November 2014. 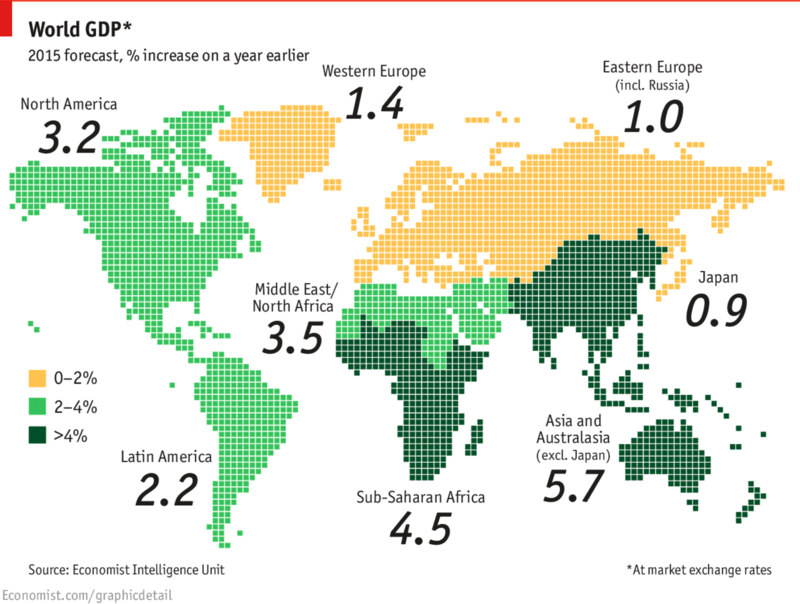 Real economic growth in 2011 stood at 1.6%, and the IMF expects it to be 2.2% for 2014 as a whole. GDP in the third quarter of 2014 grew at a vigorous 5% annual rate, suggesting that aggregate growth for all of 2015 will be above 3%. So much for Krugman’s predictions. This is not very different than the message the White House has been pushing on, he only forgot to say that the Dow Jones has hit new records. And yes GDP is recovering (and the fiscal package of 2009 was important, as well as fiscal transfers to states, which reduce the contractionary stance of local and state governments), but when you look the figure below (real GDP growth) it is clear that this recovery does not compare well with the Clinton or even Bush-II boom, which were not particularly good recoveries historically. And that's not all. Not only the recovery is slow, but also the benefits are not evenly distributed, with employment recovering little (the unemployment rate is not the best measure in this case), as can be seen below with the employment to population ratio. Not surprisingly real wages have not recovered much. So labor markets are weaker than what the numbers presented by Sachs suggest. Finally, note that the recovery has been so weak that many mainstream Keynesians, like Larry Summers, now are talking about secular stagnation. The ghost of Alvin Hansen is haunting mainstream economics. * USAID gave the HIID a huge grant to advise the Russian government on privatization. The head of the team, Andrei Shleifer (and his hedge-fund wife), attempted to steal from better-qualified competitors Russia’s license to sell mutual funds, and was later sued and found guilty by the courts of conspiring to defraud the US government. Shleifer had to pay back millions and was stripped of his Whipple V.N. Jones Professor of Economic chair due to ethics violations, but it has been argued that he managed to preserve his position at the university due to cronyism, i.e. basically his close relation to Larry Summers, who was by then Harvard's President. David Warsh has told the details of the story. Who reads the World Bank reports? I don't. At least not regularly like I do with ECLAC, ILO, IMF and UNCTAD reports. 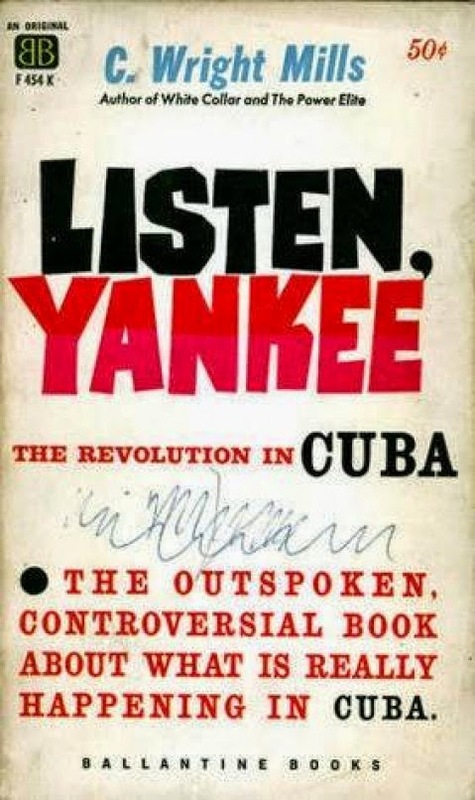 There are a few ones that become highly controversial and had a broad readership, like the infamous East Asian Miracle Report back in 1993, written by a team that included Joseph Stiglitz, when the chief economist was Larry Summers, which presented the market-friendly approach to development, even if it made some concessions about the role of the State and industrial policy (basically saying that interventions that are market friendly are okay). The concessions to the role of State intervention were basically pushed by the Japanese government, that wanted to provide a theoretical framework more in accordance with its own development experience, and were resisted by the Bank's staff and the US. The market-friendly approach had been fully developed in the World Development Report 1991, the Bank's flagship publication. 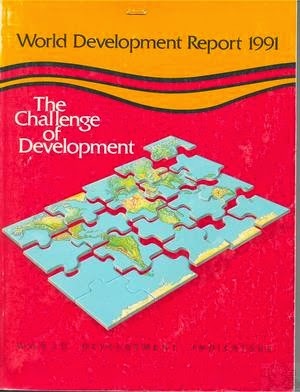 Another World Development Report that was infamous was the 2000/2001 one. This one was on poverty, and the then chief economist Stiglitz brought Ravi Kanbur to lead the team that wrote it. The original draft gave more relevance to the empowerment of the poor than to growth (not much discussion of what causes growth, however, which would be more relevant, in my view), and it is said that Summers, US Treasury Secretary by that time, re-wrote several sections of the report. In particular, the Treasury did not want the World Bank to seem anti-globalization after the Seattle protests. Eventually Stiglitz and Kanbur resigned (Robert Wade wrote about the whole affair here). "The World Bank invests about one-quarter of its budget for country services in knowledge products... About 13 percent of policy reports were downloaded at least 250 times while more than 31 percent of policy reports are never downloaded. Almost 87 percent of policy reports were never cited." A lot of these are country specific reports. But given that a lot of the research is not properly autonomous, and is highly influenced by donors (meaning essentially the US Treasury), one wonders what is the purpose of the World Bank's research department. * That is also likely true in academia, by the way. But you would expect the World Bank to have a broader readership than obscure academic journals. The Economist's growth forecast is out, available here. 2.9% for the global economy, somewhat below the IMF's forecast (in WEO, not sure if they updated that) of 3.8% for 2015. Map below shows that now the dual recovery is more complex. The US for one seems to be growing at a faster pace, even if the benefits are not felt by the vast majority, and the labor market is less tight than official unemployment indicates. Europe, and Japan continue basically stagnated. On the other hand, most of the periphery will grow healthily. China's slowdown seems to be to a still impressive 7% or so. What region among the developing ones is the underperforming, you may ask. Drum roll, wait for it... yes, no surprise, Latin America [and for those that think that political instability matters a lot, note that the MENA region will do better]. On this one the IMF is in the same ballpark, as is ECLAC. There are certainly effects from lower terms of trade, caused by lower commodity prices, but those are not evenly divided, and some countries in the region might actually benefit from lower energy costs (not the net exports of oil for sure; so Venezuela is in trouble). But not all countries in the region have been forced to slowdown for balance of payments problems. In fact, I would argue that so far this would be the exception. 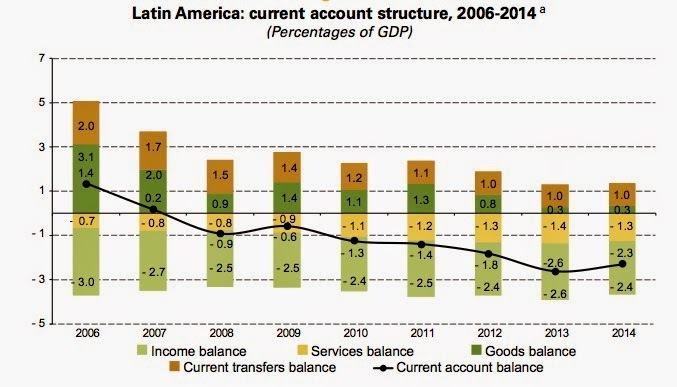 While it is true that for the region as a whole the current account balance has deteriorated (as can be seen above, to around 2.3% deficit with respect to GDP; from ECLAC), it is still the case that low rates of interest in advanced economies (even in the US, if they increase, the likely scenario is that they will remain low) implies that the CA is within the sustainable range. In fact, Brazil, with a higher CA to GDP deficit than Argentina, should not have (and we are talking in the short run here) any trouble to finance its deficit even if it increased as a result of more expansionist policies (don't worry, that's not happenning anyway). And the reason Argentina (the main exception in the region) might not be able to grow more with a CA deficit that is relatively small is associated to the Vultures, and the lack of access to international financial markets (something that might or not be solved this year, which is also an election year). So why is the region underperforming, if the CA is not in this particular circumstance a barrier to economic growth? As noted by Esteban Pérez here (and discussed here too), the problem in Latin America is that expansions tend to be weak when compared to other regions (including the last boom from 2003 to 2008). In other words, the macroeconomic stance in the boom tends to be excessively timid (sometimes outright contractionary), reducing growth in the expansionary period. This is fairly evident in the case of Brazil, where a fiscal adjustment is now in place (imposed by a left of center government without any pressure from the IMF, one might add), when the economy is almost stagnated and inflation is around the upper limit of the inflation target (6.5%), which is certainly not excessive, and unlikely to be the result of excess demand. As I often say to my students, in Latin America we do not need the IMF anymore. We have internalized it. Many heterodox economists are for devaluation and fiscal adjustment, the old mantra of the IMF, now disguised as progressive economics. Oh well. 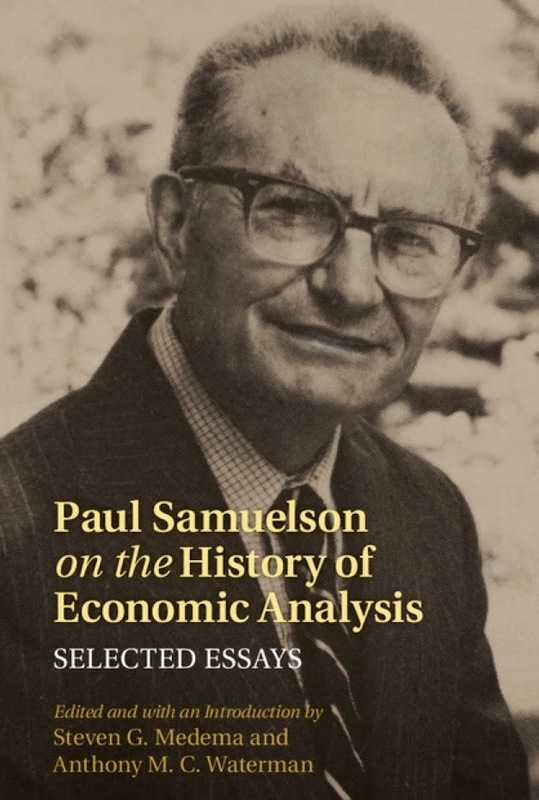 "Paul Samuelson once referred, self-disparagingly, to 'the 5 per cent of my published papers that deal with the history of economic science' (54, 3). But D.P. O’Brien (2007, 336) regards this as a 'significant underestimate.' Nearly 140 articles, essays, or memoirs listed at the end of this volume, appearing over a period of forty-four years from 1946 to 2009 and comprising perhaps 20 percent of his scholarly publications, are clearly identifiable as studies of the history of economic thought." I only know a bit of his writings on the Keynesian Revolution, and on Marx, who he famously, and incorrectly in my view, labeled as a "minor post-Ricardian." Now I learn that Samuelson thought also that Ricardo, in his estimation, was "the most overrated of economists." I suppose that his views on Ricardo help understand his reservations about Marx. Also, and so far I have read the introduction (so I am relying on the editors), he seems to side with Malthus in his debate with Ricardo. Again, that makes sense. At any rate, worth reading and more to follow. PS: It occurs to me that Samuelson's interest in Sraffa (he wrote an entry for the 1987 edition of the Palgrave, and according to Eatwell, wanted to write the main entry), who is cited profusely in the volume, the ultimate interpreter of Ricardo (and for me of Marx too), is no coincidence. Last month, using the ILO's Global Wage Report, I noticed that real wages in Greece had collapsed by an outstanding 24% since 2009. 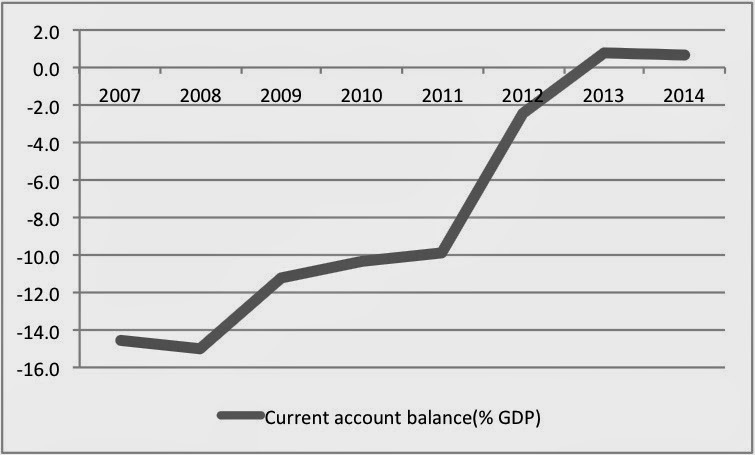 Further, I suggested that my guess was that this internal devaluation was NOT the cause of the improvement in the current account (CA), which as can be seen below did in fact improve (2014 is an IMF estimate). The question is whether real exchange rate depreciation, in this case a reduction of real wages, since the nominal exchange rate is fixed (so to speak) with respect to other Euro countries, was a significant force behind the improvement in the CA balances. Note that the improvement is basically all due to the collapse of imports, since the growth of exports (both shown below) has been basically zero (again 2014 figures are estimates). Lower real wages had an impact, if they did, on demand, not in leading to higher exports associated to lower domestic costs. In other words, less demand associated to lower wages and a collapsing domestic economy is what has allowed for the rebalancing of the external accounts. If there are any doubts, below you can see the high correlation between GDP growth and the collapse in import growth. This suggests that devaluation, be that internal as it has been so far, or external as leaving the Euro might imply, is not necessarily enough to solve the current crisis.